Lisa's best friend had tried for years to get pregnant and finally ended up adopting a beautiful baby boy. Five years later her friend became pregnant and gave birth to another beautiful baby boy. 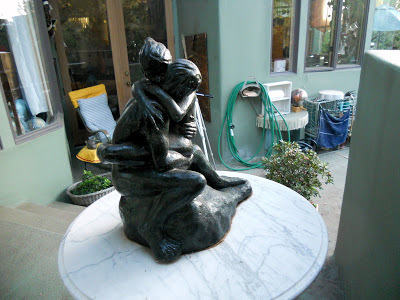 This sculpture was a tribute to his birth. 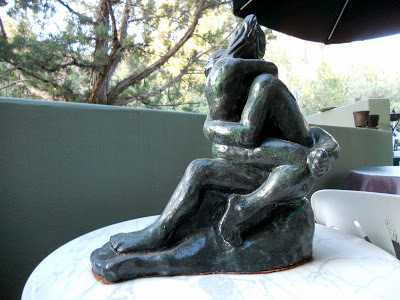 The Circle was originally a clay sculpture. 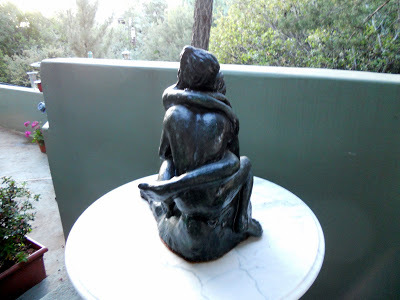 This captivating and inspired piece drew the attention of world-renowned artist, John Soderberg, who encouraged Lisa to cast it in bronze and present it in his Sedona gallery. 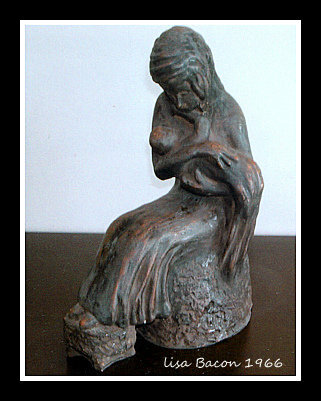 Five bronze castings of this piece were quickly sold. Typical of Lisa Bacon's humble nature, she never attempted to market the piece again. 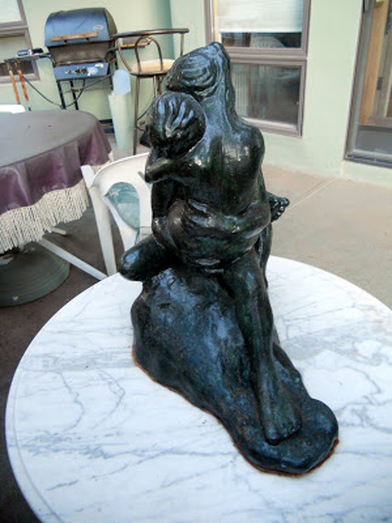 However, in her honor, we will now be making this stature available in bronze once again. Please contact Ron Bacon at nocabnor@gmail.com for further information on pricing and delivery.